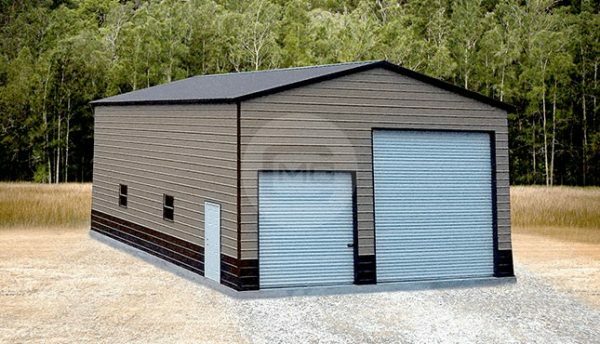 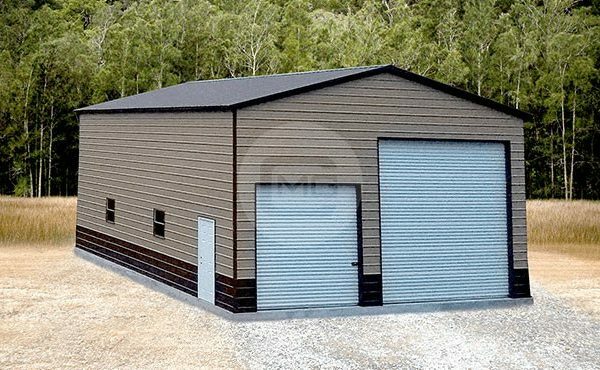 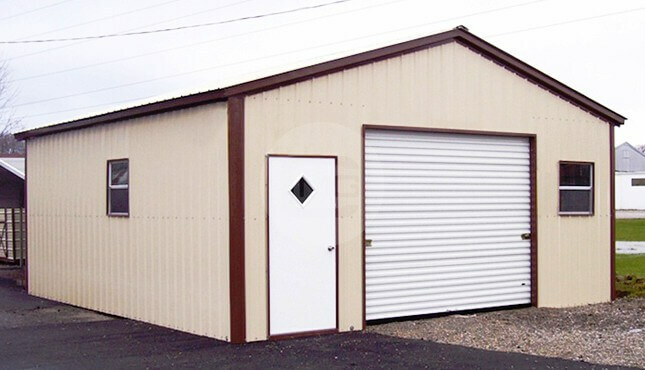 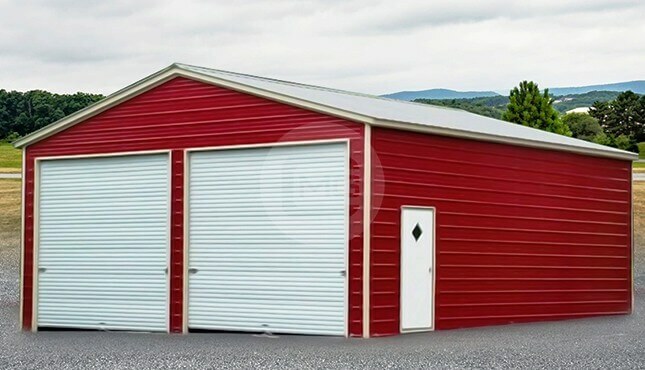 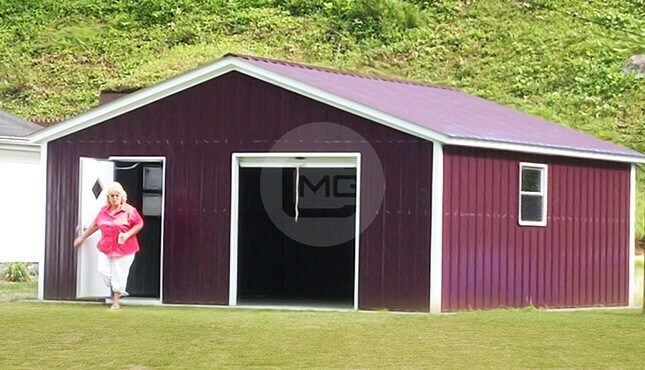 “Featuring a 30’ x 40’ Large Garage Building – this metal garage is an excellent example of the high-quality metal buildings you’ll find to store your large machinery and equipment. 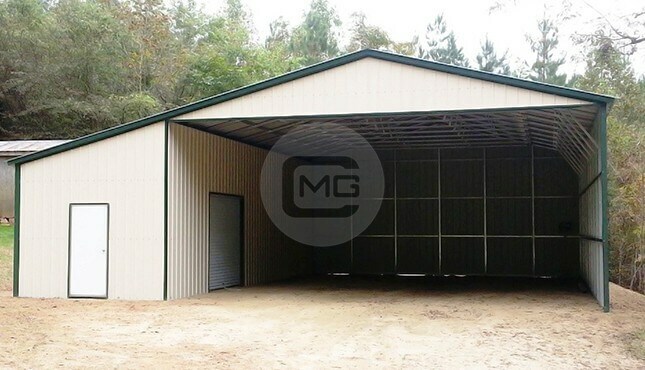 This building is built with 14-gauge steel tubing material with all vertical panels. 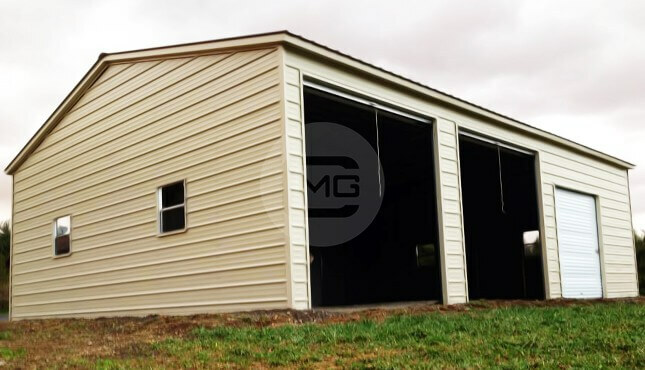 The actual measurements of this garage building are 30’ wide x 41’ long x 16’ tall whereby the actual length of the frame is one foot shorter. 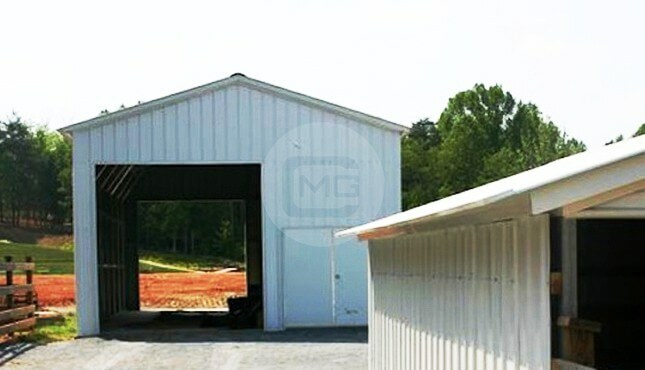 All the walls are enclosed with vertical sheet panels with a two-tone color matching. 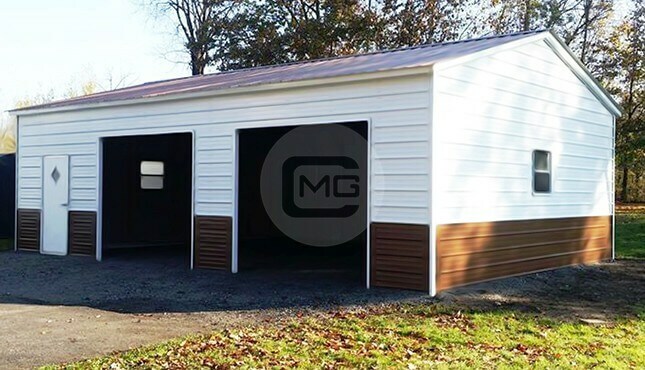 There are two roll-up garage doors – 10×10’ and 14×14’ on the front end, one walk-in door of 36×80’, and two standard sized windows on sides. 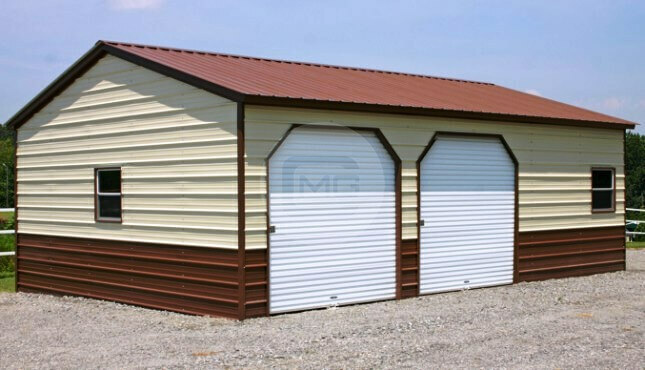 This can be a perfect and safe storage building which is no lesser in durability.